Dr. James Newman attended college as well as dental school at the University of Pittsburgh. He received his degree in Dental Medicine in June of 1995. He has been practicing in the Lehigh Valley over sixteen years. Along with practicing in a state of the art facility, Dr. Newman attends continuing education class to stay current with most modern dental concepts and techniques. 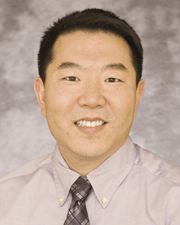 Dr. Newman is a member of the: ADA, PDA LVDA, AGD, and the Lehigh Valley Dental Study Club. Dr. Newman currently resides in Easton with his wife. They look forward to their annual trip to Rivera Maya, Mexico. They also enjoy dining out and seeing an occasional movie. Majority of their time outside of work is spent with close family and taking care of their miniature daschunds.